Vintage Printable Natural History – Butterflies – Moths! This is a fabulous Vintage Printable Natural History print! 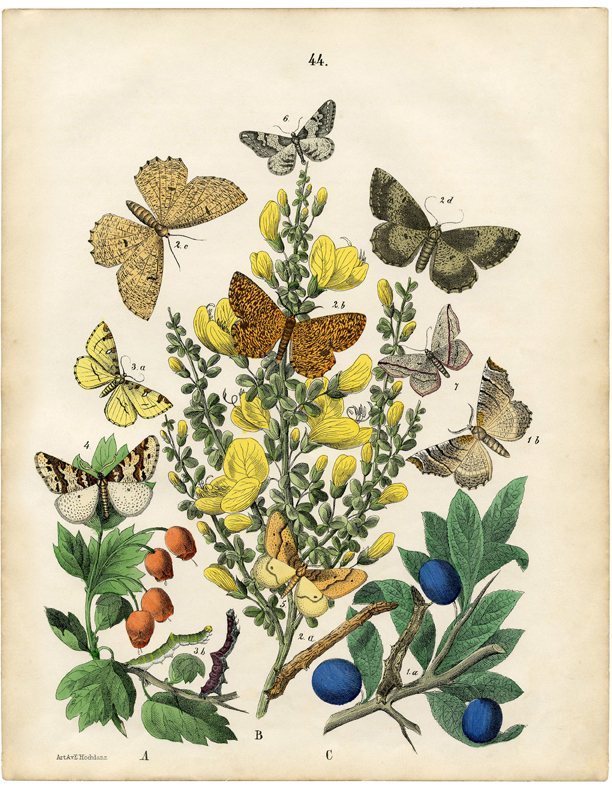 This print comes from a Circa 1863 German Natural History Butterflies and Moths Book. This is another book that I just got in and there are so many gorgeous prints in it!! I’ve had a few of these individual prints in the past, so I was excited to get my hands on the entire book! I just love the colors on this one, in addition to the insects,all of the plants are really beautiful too! I think this would look fabulous mixed in with your Spring or Summer Decor, perhaps under a glass cloche or behind the panes of an Old Window! You can find a similar print from the same book HERE. 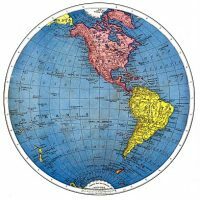 Vintage Printable – Map of the World – Part 1 Gorgeous Green Tropical Leaf Download! Retro Garden Man Silhouette! This is exquisite! Thank you for sharing your amazing finds! This is lovely — thank you for sharing! This is lovely. Thank you for the welcome. I always thought I was a subscriber but I guess I was only getting somethings from your posts and blog. Now I will get to see and read it all. Thanks again.